At Skirting UK, we provide a variety of delivery options to suit your required needs. Whether that is getting your order in a hurry, saving money or if you are only available on the weekend. Please be aware, for insurance reasons, our courier partners do not take deliveries inside of the property. However, Skirting UK drivers will bring the parcels into your property with the owner’s permission. If there is a safe place on the property for the goods to be left, we can arrange for your parcel/s to be left there. The goods will be securely wrapped to protect them from any damage. PLEASE NOTE: The shrink wrap is not waterproof but may last in rain for 1-2 hours. Working days are Monday-Friday. All machine work is completed by 12pm, so orders made after 12pm are classed as the next working day. * The following postcodes/areas may take longer than our websites guide: CA28, FK19-21 KA28, PA20-78, PH30-41, TD15, BT, IV. Delivery options and prices will all be calculated and listed at the checkout. Standard delivery is the cheapest option we offer. This is the option for you if you are not in a rush for your order and want to keep costs down. Unprimed and primed you can expect to receive your order within 4-6 working days. Satin, gloss and eggshell, you can expect to receive your order within 6-8 working days. Good news – If your order is over £500, use code ‘FREEUK’ for free standard delivery. We understand that it may be difficult to wait in the whole day for your order; that’s why we are giving you the option to have it there before 12pm. Following the same time scale as STANDARD DELIVERY, but allowing you to receive your order in the morning. Fast track pushes your order to the top of the manufacturer’s list and shortens the turnover of your order. This service is an extra £28 + vat on top of standard UK delivery. Unprimed & primed you can expect to receive your order in 2-3 working days. Gloss, satin & eggshell you can expect to receive your order in 3-6 working days. Just like our standard before noon, we offer you fast track before noon. This allows you to get your order faster than normal in line with the FAST TRACK timescale, whilst also receiving the order in the morning. Is your order for your home and you’re working all week? Saturday delivery might be the answer for you. Get your order delivered on a Saturday with our Saturday delivery service. To qualify for the same week Saturday, you must make your order by Monday 12pm, to allow the production of your order. All orders thereafter will be sent the following Saturday. We understand that it may be difficult to wait in the whole day for your order; that’s why we are giving you the option to have it there before 12pm. Following the same time scale as SATURDAY DELIVERY, but allowing you to receive your order in the morning. Do you live local? Save yourself the delivery charge and come in and collect your order. In 6-8 working days for gloss, eggshell and satin. Please ensure your vehicle is capable of holding your order to avoid wasted time travelling to us. We do not store goods and if the items are not collected within 14 days they will be discarded. You must collect between the working hours stated. Please call 0121 289 4940 if a specific date is required. All of the above delivery prices are for mainland UK only. 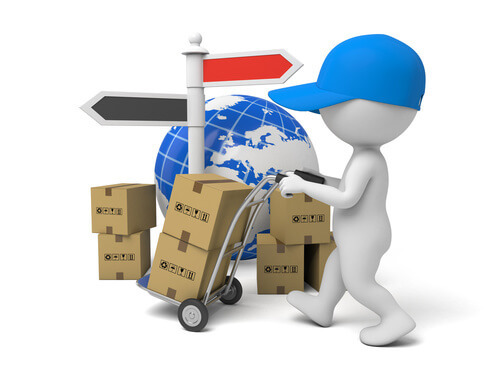 We are able to provide standard delivery for offshore addresses, however, the prices and times differ.